There is now unlimited value in winning additional Seats each season. 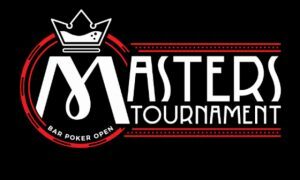 Any player who earns more than 2 Seats in a 6-Month Season will begin earning “MASTERS TICKETS” for use in the Online Masters Tournament as an entry, rebuy, and/or add-on. For official details please see Bar Poker Open website. The second Masters Tournament will be held May 18, 2019 at 11:30 am Eastern Time, 10:30 am Central Time. Bar Poker Open Championship Day 2 Seat with an approximately average stack of 250,000 chips! This means One Person Each Season will get an immediate “Bye” past 90% of the field with a minimum cash, and will start with an average stack! He/She may still play Day 1’s for a chance at a larger stack, but this is a GUARANTEED SEAT into Day 2 and IN THE MONEY!